On 16 May 2009, a pink dot was formed on the little red dot of Singapore, when 2,500 fellow citizens turned up at Hong Lim Park to make a stand against prejudice and apathy. This year, it is our hope that this inspiring beacon of inclusiveness continue to shine – brighter and stronger than before. By purchasing tickets to the party, you’ll go some way towards helping us defray costs of staging Pink Dot this year. With entertainment provided by Hossan Leong, Emma Yong and Voguelicious, in a snazzy setting with luscious nibbles and refreshments courtesy of House, this fundraiser looks set to be a rollicking, fun-filled prelude to our main event in May. So put on your party best (pink please) and bring all your bff’s (all shapes and shades are welcome). Let Pink Dot’s message of love ring even louder and clearer this year! Tickets @ S$50, inclusive of drink and finger food, sponsored by House. For queries, kindly email [email protected] or get in touch via our Facebook pages. Next PostA Fabulous Line-up to Raise Fun at Fundraiser! 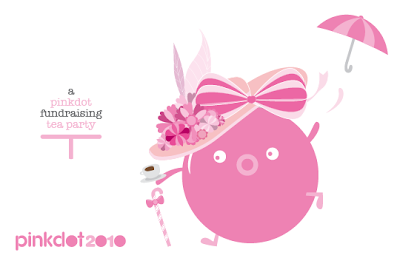 Should there be a Pink Dot 2011?